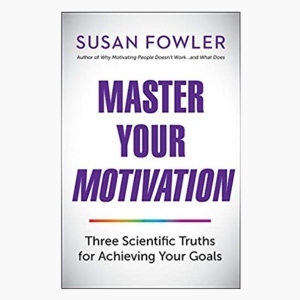 Susan Fowler | What’s the best-kept secret of leadership? What’s the best-kept secret of leadership? Can you make the two columns of numbers add up to the same total by swapping just two cards? Take extra credit if you can solve it without looking up the answer online. Take extra credit if you’re savvy enough to find the answer online. The solution to the puzzle is the same as the best-kept secret of leadership! This secret saves you time and wasted effort on everyday activities. Still need a clue? Below are three clues in the form of research-based best practices that positively impact results, just might save your sanity, and are good for the people you manage. Really. Consider how much time, money, and effort has been dedicated to teaching leaders how to give effective feedback. Yet research shows that most leaders still feel incompetent giving feedback; and the people receiving their feedback agree with that assessment. Fewer than 20% of employees receive the weekly feedback deemed to be necessary. Of those, only 27% report that the feedback is useful. Unsolicited feedback—even if true and necessary—either makes no difference or makes things worse. Try a new approach: It turns out that feedback requested is more powerful than unsolicited feedback. Teach your staff members how to proactively request feedback on a regular basis. Explain how feedback is their best chance for progressing and succeeding, but that they’ll listen to and appreciate feedback more when they’ve asked for it. Tip: Gift your staff members with a copy of “Thanks for the Feedback: The Science and Art of Receiving Feedback Well” by Douglas Stone and Sheila Heen. If you currently schedule, plan, and conduct meetings with your staff members, you are probably taking up 85% of the airtime discussing your agenda, the organization’s needs, and providing unsolicited (albeit, important) feedback. Try a different approach: Make one-on-one meetings the responsibility of staff members to schedule, plan, and conduct. You will discover staff members are more open to reporting on their progress, expressing their needs, and requesting feedback when the meeting is based on their agenda. You can always schedule a separate meeting for your agenda, to set goals, or provide information. But, to the extent self leaders accept responsibility, the more effectively they will ask for direction and support, initiate problem solving, and request “just in time” feedback. Tip: Preorder the revised edition of “Self Leadership and The One Minute Manager: Gain the Mindset and the Skillset for Getting What You Need to Succeed,” by Ken Blanchard and yours truly, for your individual contributors. Motivating people doesn’t work. People are already motivated, maybe just not in ways you hoped or need. Your role isn’t to motivate your staff members. You can help facilitate their shift from suboptimal motivation (based on disinterest, tangible and intangible external rewards, and imposed reasons based on fear, pressure, and guilt) to optimal motivation (based on values, purpose, and inherent interest), but ultimately, the choice is theirs. Try a radical new approach: Consider motivation as a skill. 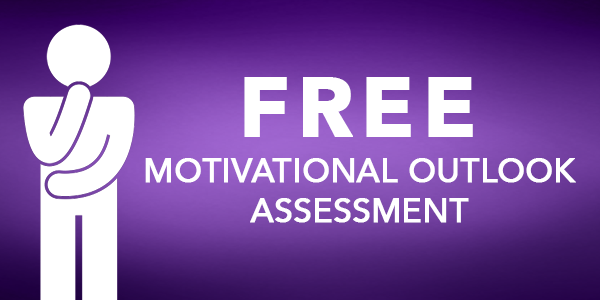 Your staff members can choose the quality of their motivation on any goal or project. They can learn to identify and shift their motivational outlook to experience the sense of well-being and positive energy required for being creative, innovative, productive, and physically and mentally healthy. What do all the clues have in common? In each case, you are reversing the role of traditional leadership practices and facilitating your staff members’ proactive self-leadership skills. 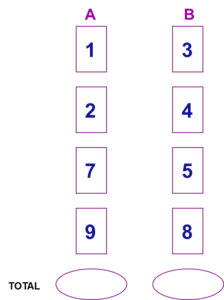 Therein lies the solution to the puzzle: Switch the “9” in column A with the “8” in column B. Before the switch, the total for column A is 19; the total for column B is 20. After the switch, column A’s total is 18 and column B’s total is 21. Hmmm. How do you make that solution work? The rest of the answer lies is the recent research on the benefits of developing self leaders. The relative explosion of research on proactive self-leadership over the past 10 years has revealed profound evidence of the benefits of developing the mindset and skillset of individual contributors. Solid evidence shows that the most essential ingredient in the successful execution of implementing change, customer service programs, and other important initiatives, is the proactive behavior of the individual contributors. The good news is that a proactive self-leadership mindset and skillset can be taught. Some people have a natural disposition to be proactive, but teaching people proactive skills is highly effective—and recommended. Studies conclude that organizations would be wise to allot time, effort, and budgets to teaching individual contributors how to be proactive. The best-kept secret of leadership is turning leadership upside down. Instead of focusing on giving feedback, teach individuals to request it. Instead of leading one-on-one meetings, teach individuals to conduct them. Instead of trying to motivate people, teach individuals how to identify and shift their suboptimal motivational outlook to an optimal one. In other words, to make the puzzle work, turn the “9” upside-down and make it a “6”. Now both columns are equal. When it comes to a workforce of self leaders, the positive impact is exponentially greater than the sum of the parts. What’s the “Why” of Your Job? What if You’re a Cynic?